Two Northern County parties on record in opposition to proposal 15-1. 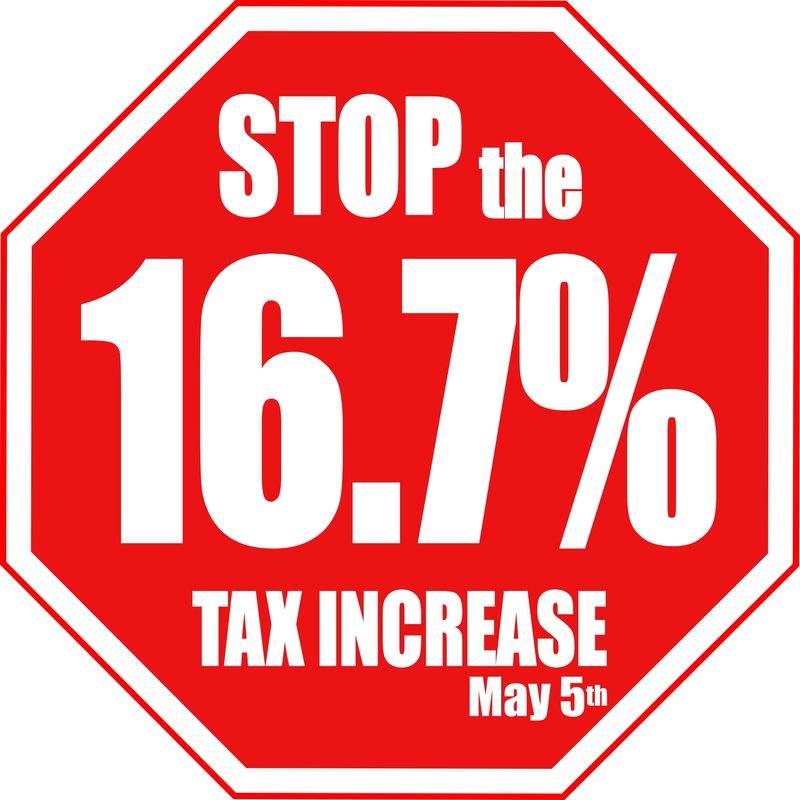 Last Thursday (February 5, 2015), a couple of Northern Michigan county conventions had the opportunity to vote on a resolution in opposition to the 17% sales tax increase. With only ONE dissenting in the Antrim County convention, and NO vocalized dissent in the Grand Traverse County convention, both county Republican parties made it clear that the tax increase was unacceptable. 2. Should the proposal fail, we insist that the Michigan legislature seek and alternative solution to road funding which includes cutting wasteful spending while finding the necessary funds within our current annual budget. Be it further resolved; that a copy of this resolution be distributed to Governor Snyder, Michigan House Speaker Kevin Cotter, Michigan Senate Majority Leader Arlan Meekhof, and the MRP Chairperson. It passed by Unanimous voice vote. The Antrim resolution was identical and passed with one nay. Both resolutions are being delivered to policy makers as instructed by the resolutions themselves. I would suggest lawmakers start preparing their taxpayer friendly legislation to fix the MEDC blown hole in the deficit, and get our roads fixed ASAP. Few supporters exist for the complicated tax raising proposal that is being promoted by this governor, and the political support mechanisms are noticeably in opposition. The turkey ain’t going to fly. Meekhof voted against that crap as a Rep., and now calls the shots as SML - it's time for Arlan, to sh!t or get off the pot. D!cking around with in-your-face to the Nerd, which in his increased super majority position is not the pressing priority for taxpayers. I am being told that Presque Isle ALSO passed this resolution! Hasn't been so much as a peep out of Livingston County since November 9, 2014. Heh! Pile that MDOT bureaucrats frivolity justifying their paycheck crap onto the "Complete Streets" crap, too. You all just gotta have "Streetscaping" added to government prevailing wage labor cost, you know? 2. Should the proposal fail, we insist that the Michigan legislature seek an alternative solution to road funding which includes cutting wasteful spending while finding the necessary funds within our current annual budget. It seems to me at the time Proposal 1 was being considered Wayne Schmidt was chairman of the House Transportation Committee. Republicans elected him to the Senate to replace the progressive Howard Walker! We have found the enemy! He is US!